Fill the details below accurately and we mail your pass right out to you. 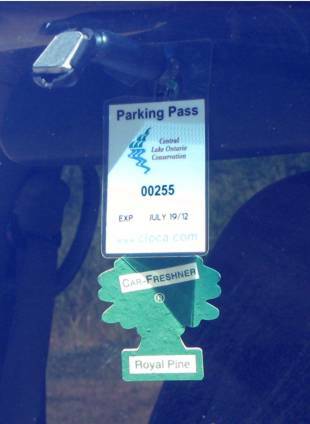 The cost of a Parking Pass is $75/year (tax inc.). The pass is valid for one year from date of purchase. If you are renewing your permit please complete below and we will extend your permit from the expiry date. Please complete the information below if this is a gift. The Parking Pass will be registered under their name but mailed to the person purchasing the gift. Keep informed about conservation events and news. The Annual Pass covers all conservation area parking fees and general admission fees with Central Lake Ontario Conservation's jusridiction for a period of one year from the date of purchase. The pass does not cover admission fees into special events. If a pass is lost or stolen the owner will be required to purchase a new pass.